4 Bed, 2 Baths, 1,578 Sqft! Welcome Home!! 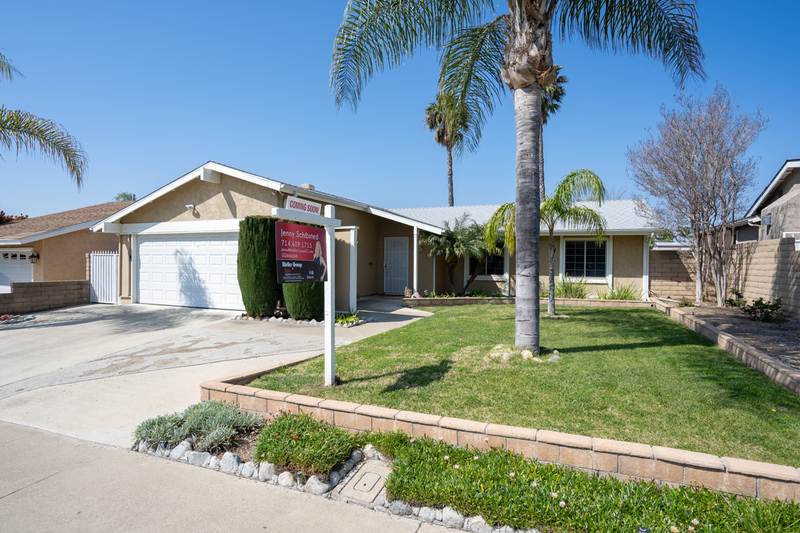 This 4 Bedroom, 2 Bath Yorba Linda Ranch Style Home is Turn Key and is the one you have been searching for! This home is situated in a family friendly neighborhood on a cul-de-sac in the heart of Yorba Linda. This property features open concept living with new wood laminate flooring, new carpet, retextured ceilings and interior paint throughout. The large master bedroom looks out onto your generously sized backyard and includes an en-suite bathroom and shower with vanity and a large closet. The 3 additional bedrooms are nicely sized with closet space and the hall adjacent includes a good sized linen closet. Guest bath features a new modern vanity. Additionally, the property has new windows, exterior paint, roof and water heater. The private backyard is an entertainer’s dream with an expansive open area, large mature palm trees, fruit trees, grass area, planters, fountain and patio. Just steps away are walking/running paths that lead throughout the neighborhood and connect to other trails in Yorba Linda. This home is positioned within the boundaries of the New Yorba Linda High School and award winning Placentia Yorba Linda School District. Do not miss your chance to own this light and bright, updated Yorba Linda home in an incredible location!